Special thanks to Maral Gaeeni, Laurel Hauge, Lindsay Hutchens, Jessica Malatia, Cyndell Perkins-Prewitt, and Bailey Reiners for researching and compiling data for the art world survey reports. We invite you to submit your own Art (World) Survey for inclusion on this website by submitting your documentation via our form. Unless otherwise noted, all artworks by Howardena Pindell are reproduced courtesy of the artist and Garth Greenan Gallery. Howardena Pindell: What Remains To Be Seen is organized by the Museum of Contemporary Art and cocurated by Naomi Beckwith, Marilyn and Larry Fields Curator at the MCA, and Valerie Cassel Oliver, Sydney and Frances Lewis Family Curator of Modern and Contemporary Art at the Virginia Museum of Fine Arts. Lead support for Howardena Pindell: What Remains To Be Seen is provided by the Harris Family Foundation in memory of Bette and Neison Harris: Caryn and King Harris, Katherine Harris, Toni and Ron Paul, Pam and Joe Szokol, Linda and Bill Friend, and Stephanie and John Harris; Kenneth C. Griffin; The Andy Warhol Foundation for the Visual Arts; and Marilyn and Larry Fields. 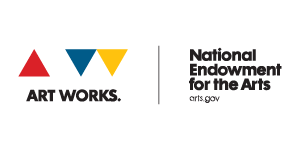 Major support is provided by the National Endowment for the Arts, the Terra Foundation for American Art, Charlotte Cramer Wagner and Herbert S. Wagner III of the Wagner Foundation, and Liz and Eric Lefkofsky. Generous support is provided by Nathan Cummings Foundation, with the support and encouragement of Jane Saks; Mr. and Mrs. Lee Broughton; Garth Greenan Gallery; Agnes Gund; Anonymous; Heiji and Brian Black; Lester N. Coney and Mesirow Financial; Ashlee Jacob; Nickol and Darrel Hackett; Denise and Gary Gardner; Vicki and Bill Hood; Bernard I. Lumpkin and Carmine D. Boccuzzi; Cheryl Mayberry McKissack and Eric McKissack; Jeanne and Kevin Poorman; Desirée and Victoria Rogers; Dr. John E. Ellis; Cathy Ross and Chris Liguori; and Lloyd A. Fry Foundation.